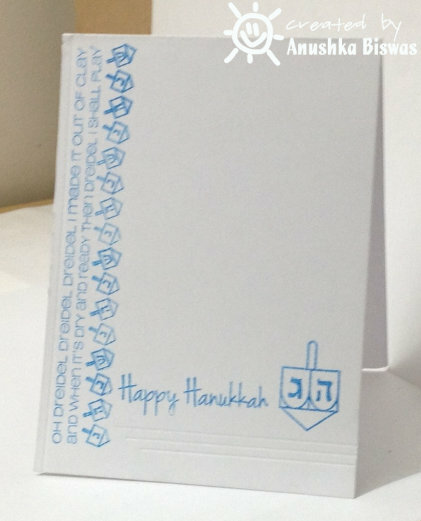 It's made fully out of CAS-ual Fridays stamps from the 8 happy nights set. 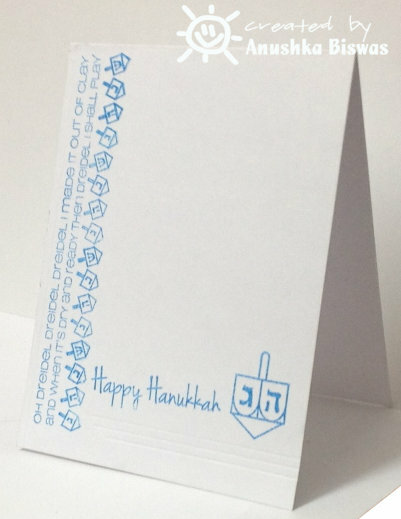 I scored along the bottom of happy Hanukkah and the left edge. P.S. 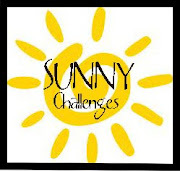 Please play in this Sunny Challenge- Season's Greetings!! Beautiful CAS card Anushka! !Thanks for sharing with us @ CASual Fridays this week! What a wonderful Hanukkah card, Anushka!! Love the blue, and your layout is super creative, the scoring...sweet!! A beautiful card!! So glad you were a part of the challenge this week at CAS-ual Fridays:)! !